We know there are choices to be made when sending your suspension units for a service. Here are just a few of the reasons why you should #GetSprung! Jake Ireland is one of the most experienced suspension technicians and bike mechanics in the UK, who despite his relatively young age has been in the bike industry for over ten years, worked with suspension companies on damper design, helped with R&D on frame design, and spanners at the World Cup Downhill rounds. Jake’s a friendly face with a helpful attitude. Giving people better equipment to ride on makes Jake happy. Sprung has invested in the very best equipment, tools and machinery on the market, putting us in line with the UK’s biggest suspension service centres. Working with Andreani Group, Napstok Customs, and Bott, we have everything from Andreani’s latest Vacuum Bleeding technology and tools, to Napstok Customs workbenches and Bott tool storage. We haven’t skimped on small details either – down to Polyurethane topped workbenches to keep your precious dampers safe. In doubt? Pop in for a cuppa and we’re sure you’ll be impressed. We are based at one of the UK’s busiest and best trail centres, Pedalabikeaway in the Forest of Dean. You can drop off and pick up your suspension from us for the ultimate in convenience, or even leave your bike in the Pedalabikeaway workshop and have their top mechanics remove your suspension for us to fettle while they’re giving your bike a once over. You can always pop in for some setup advice and a chat too! We pride ourselves on having customer service second to none. You can contact us by phone, email, text message, or through social media. We provide prompt, reliable work so you can concentrate on the trail ahead of you rather than what your bike is upto underneath you. 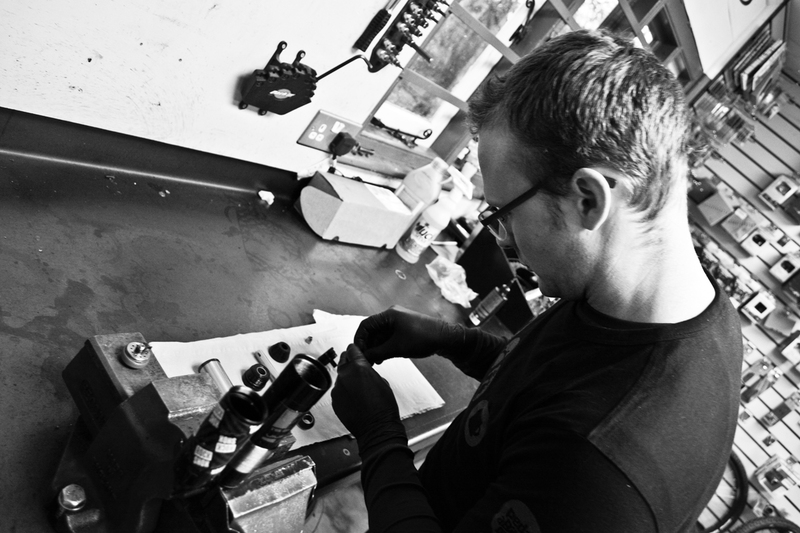 Jake has been servicing and setting up our suspension on our Premium Mountain Bikes and Demo fleet for the last 2 years. It is key for us to ensure that the customers paying for a premium bike get a premium set up! Our bikes get a lot more use than your average mountain bike, and to keep them feeling smooth and plush is a real challenge. Jake has also been providing suspension set up for the Pedalabikeaway race team, allowing them to focus on riding the bikes, knowing the bikes are perfectly dialled for their riding. The results speak for themselves – we have had more podium performances in the last 12 months than ever before! Jake has ridden with me to understand my style of riding and therefore suspension needs, which he has effortlessly converted to some amazing settings on all my bikes. Whether you ride high end bikes or not, the difference that effective tuning makes is truly astonishing as it converts a good runner into what feels like a new bike. I will only ever use Jake for my forks and shock. Next to coaching, I would say that a great suspension tune is the best upgrade you can make as a mountain biker. He is so impressive and modest with it. 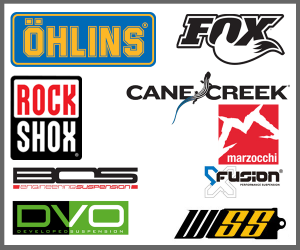 Sprung suspension is a brand new company on the scene that offers amazing suspension setup or service. I recently took in my Rockshox vivid for a service, before going in I felt it was lacking something, it wasn’t giving me what I wanted out of the shock. When I got it back I felt a dramatic change! Not only was the standard service spot on but I felt the shock become more lively and responsive! This is one happy customer who will definitely be going back at the drop of a hat when my forks or shock need sorting out!